Served hot with either basmati rice or bread, this makes a delicious dinner. 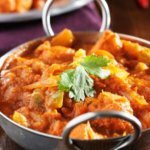 Vindaloo is famous for being a tasty, spicy dish - perhaps not as spicy as phaal but still up there with the ones we spice-lovers enjoy! If you want to reduce the heat a bit, then use fewer chillies. This dish is well loved in Goa and other parts of India and there is a variety in the Maharashtrian cuisine of the Mumbai area also. 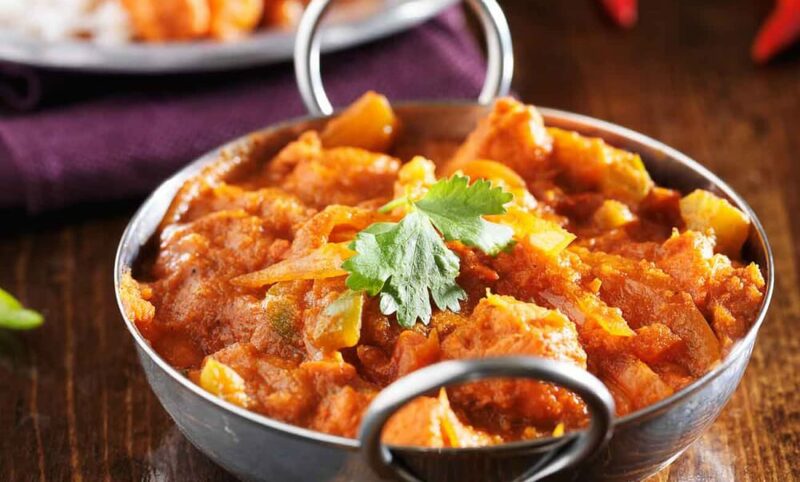 Vindaloo is famed in curry houses in England where the spice level is often boosted (vinegar and extra chillies are added too) since this is known in England as a very spicy dish, although it isn't the spiciest Indian food you can find. In Goa, vindaloo is made with pork but outside of Goa you can find chicken or lamb varieties. The lamb one sometimes includes potatoes but although 'aloo' means potatoes, vindaloo does not include them as a traditional ingredient. The following recipe requires 6 hours marinating time. You will also need 2 Pyrex or other non-reactive (not metal!) bowls, one for the chicken and the other to prepare the spice blend. Cut the chicken into 8 pieces and discard the skin. Put the chicken pieces in a bowl. Mix the spice blend ingredients in a second bowl and let them sit for 20 minutes. Transfer the spice blend mixture into a blender and puree into a smooth paste. Now toss the chicken in the spice mixture. Let it marinate for about 6 hours. Heat the oil in a deep pan then add the chicken. Add the tomato paste, onion and some salt and pepper, and stir. Add the water, then cover the pan and simmer on low for 15 minutes or until the chicken is cooked through and the sauce is thick and sticky.